During the hot line, held simultaneously in the Internet, via phone and mobile, replying to the question of the President of the Chamber of Commerce and Industry of the Russian Federation, former Prime Minister and Minister of Foreign Affairs of Russia Yevgeny Primakov about the work within the framework of Kazakhstan Presidency in OSCE in 2010, President of Kazakhstan Nursultan Nazarbayev declared about the intention to call the Summit of the member-states of the organization. "We want to get all OSCE states closer. That is why I suggested to all OSCE member-states and their leaders to call the summit of the Heads of OSCE states ", - said Nazarbayev. According to the Leader of Kazakhstan, the meeting will contribute into the establishment of mutual understanding between OSCE member-states. 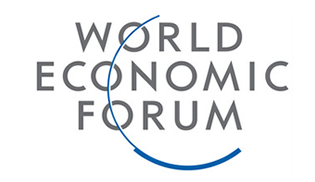 The last Summit of the Organization took place in 1999 in Istanbul. The Summit to be held in 2010 in Astana is supposed to evaluate the situation in the world and to develop a joint declaration of future actions. Under the order of President the State Committee on preparation of Kazakhstan activities within OSCE as a Chair has been already established. "We have suggestions for the three OSCE baskets to function", - he said. Among these baskets he called economy, ecology, security and human dimensions. Except for that, at the moment Kazakhstan develops its position on the number of issues within the framework of its work in OSCE, including the issues of security, nuclear disarmament, Afghanistan problem, extremism, drugs traffic and ecology. Experts think that the initiative of N.Nazarbayev on Summit holding during the Presidency in OSCE, is very complicated considering the disagreements present today inside OSCE. For example, on the performance of the Office for Democratic Institutions and Human Rights (ODIHR) OSCE, the results of which, when these or that elections are not recognized are rejected by the OSCE member-states. And mainly by the Republics of the former USSR. The inability to prevent the August war between Russia and Georgia has influenced the prestige of OSCE. And the consequences of this war will last long. Besides Russia, up till now, no other OSCE member-states haven’t recognized the state independence of Abkhazia and South Ossetia. Already during eight years within annual final meetings Foreign Ministers of OSCE states have been unable to adopt a unique political declaration, which is perceived as a sign of serious disagreements inside the Organization. But even the fact of lobbying of ambitious idea of the Summit should get closer the positions of different Parties. 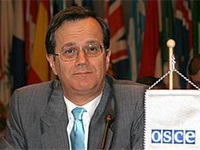 And its accomplishment in practice, without doubts should open a new page in the history of OSCE and discuss the “spirit of Astana” – the spirit of new architecture of global security of postindustrial period of development – the same as they used to talk about the spirit of Helsinki, which arose in 1975. According to the Secretary General of OSCE Marc Perrin de Brichambaut, the future Summit can give the Organization new dynamics and provide the promotion of stability. President of France Nicolas Sarcozy perceived positively the idea of the sSummit during his visit to Astana. And Moscow expressed its readiness to help Kazakhstan for the period of its Presidency in the Organization for Security and Cooperation in Europe (OSCE) in 2010. The head of Russian Foreign Affairs Ministry Sergey Lavrov declared about it in the result of negotiations with his Kazakh colleagues, State Secretary – Minister of Foreign Affairs of the Republic of Kazakhstan Kanat Saudabayev. Astana also acknowledges the special urgency of the matters of the establishment of new architecture of European security. Minister of Foreign Affairs of Kazakhstan is assured that the heads of states and governments should develop principle solutions on key problems of Euro-Atlantic and Eurasian security. During already eight years international community can’t achieve stabilization in Afghanistan. Among main directions of the prospect Presidency of Kazakhstan – the establishment of general European system of security, the conclusion of a new treaty on nuclear weapon non-proliferation, and also the development of a “road map” of interethnic and interconfessional harmony promotion. “Today Europe in a national sense has become completely different, various and heterogeneous, which already brings to the splashes of conflict situations. Thus, the issues of overwhelming tolerance have gained extreme urgency for all OSCE members", - states Kanat Saudabayev. Also another OSCE member-state, which locates on another continent, discusses the changes in Europe. The USA will participate in the Summit of the Organization for Security and Cooperation in Europe (OSCE), which is initiated by Kazakhstan, only in case this meeting in reality is directed on the solution of current international problems. 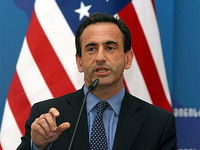 This was announced by Philip Gordon, the US Assistant Secretary of State for European and Eurasian affairs, during the hearings devoted to the policy of Obama’s Administration towards OSCE. They were organized by the two-party Commission on Security and Cooperation in Europe (Helsinki commission) functioning at the Congress. 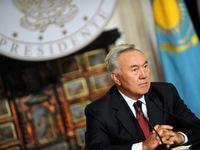 The US authorities are ready to assist Kazakhstan for its Presidency in OSCE to succeed. The oncoming Presidency of Kazakhstan in OSCE promises, “frankly speaking, many challenges, but also fruitful opportunities”, thinks American diplomat. As he states at the same time, Washington particularly counts that Kazakhstan “will resume its attempts for OSCE to function inside of the northern border of Afghanistan”. In its turn, the Assistant of US Defense Minister Alexander Vershbow, who also participated within hearings, explained that the case is about assisting to Kabul within the process of customs border strengthening. The USA considers especially important two projects: the establishment of the base for Afghan border guard training in Sherkhan-Bandar and their training directly in the number of check-points on the north of the country, specified the representative of Pentagon. Many observers now say more often that next year OSCE can become a place of “hot” debates, struggle between Moscow and Washington, which treats carefully the issue of new European security development, connected with the initiative of Russian President Dmitry Medvedev and the European Security Treaty. The solution of this issue anticipates total reforming of OSCE. Washington lays great hopes on the efficacy of the working group organized this years at the level of foreign policy institutions of the USA and Kazakhstan for urgent solutions of the issues that can arise also within OSCE.